This study examined marijuana-related parenting attitudes, behaviors, and challenges in the context of nonmedical marijuana legalization in Washington State. Qualitative data were collected via 6 focus groups with a total of 54 parents of preteen and teenage children, following the opening of the first marijuana retail store in Seattle in 2014. A structured interview protocol was used to ask parents about their marijuana-related parenting behaviors and about information, skills, or strategies that parents might find helpful while raising children in a state where nonmedical marijuana use is legal for adults. Transcripts were analyzed using thematic content analysis with NVivo software. Findings indicate that most parents talked to their children about marijuana, communicating rules and information about the effects of the drug. Although most parents felt that marijuana use by underage youth was not acceptable, many recognized that it was something teens would likely experiment with. 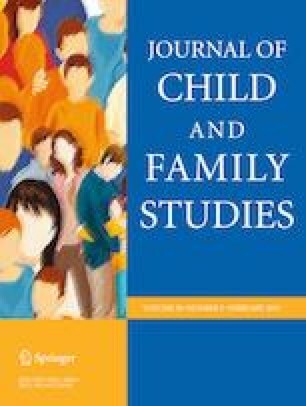 Most parents set guidelines about marijuana in their households, but several faced challenges monitoring their children’s behavior (e.g., use of edibles), imposing consequences when children used marijuana, reconciling societal and personal norms, and deciding whether or not to disclose their own use. Parents expressed that they would benefit from learning strategies to deal with these challenges, including factual information and parenting skills, through programs offered in schools or community settings. Results have implications for future research that seeks to inform prevention program development and shape policies attuned to the needs of parents. An earlier version of this paper was presented at the Society for Prevention Research annual meeting held in Washington, DC, in May 2015. N.E. : collaborated on the design of the study, led the data analyses, and wrote the paper. T.M.J. : assisted with the design and execution of the study, participated in data collection, collaborated on data analyses, and wrote sections of the paper. R.K.: led the design and execution of the study and collaborated on data analyses and manuscript writing. J.A.B. : collaborated on the study design, data analyses, and manuscript writing. J.O.L. : collaborated on the study design and writing and editing of the final manuscript. K.P.H. : collaborated on the study design and writing and editing of the final manuscript. This study was funded by National Institute on Drug Abuse grants R01DA023089 and R01DA033956. The content of this paper is solely the responsibility of the authors and does not necessarily represent the official views of the funding agency. Approval for this study was granted by the University of Washington Institutional Review Board. All procedures performed in studies involving human participants were in accordance with the ethical standards of the institutional and/or national research committee and with the 1964 Helsinki declaration and its later amendments or comparable ethical standards. Washington State Healthy Youth Survey. (2015). Healthy Youth Survey 2014: Report of results. Statewide results, Grade 12. Olympia, WA: Washington State Department of Health. Retrieved from http://www.askhys.net/library/2014/StateGr12.pdf.